In early 2018 the British Foreign Office sold the site of the British embassy in Bangkok for £420,000,000, which was the largest property transaction it had ever made. One reason for the sale was that the Foreign Office was in what was quoted as being a ‘tight fiscal environment’. In other words, it was strapped for cash. Ironically, when a new consulate was established consequent to the Bowring Treaty of 1856, there was also a funding shortage, but it was overcome by assistance from King Mongkut. The Saracen arrived at Paknam at the end of August but did not remain at the bar. Instead the brig-sloop sailed right up to Bangkok, possibly, in part, to enhance the standing of a new British consul. Four months previously, as Richards left Paknam for Singapore, Charles Batten Hillier departed Hong Kong destined for the Siamese capital. Hillier had previously been the Chief Magistrate of Hong Kong and, although untrained in law, had proved conscientious and capable. Unfortunately, consequent to a quarrel following the appointment of a new Attorney General in 1855, he decided to find employment in England. Although failing to secure a position there he was offered the Siamese post by Bowring, who held him in high regard. Hillier’s journey coincided with his tenth wedding anniversary and both Charles and his wife, Eliza, doubtless looked forward to life a little less fraught than that in Hong Kong. The daughter of missionaries based in Shanghai, Eliza was clearly one of those indomitable British women found everywhere in the empire on which the ‘sun never set’. Miss Medhurst became Mrs Hillier in May 1846 and before moving to Siam had given birth to four surviving children. On arrival the new consul set about his duties with his usual energy and soon addressed the issue of enhancing the British presence. The original British consulate was in a rented property, but Hillier sought to establish permanent and more prestigious quarters close to the banks of the Chao Phraya River, adjacent to the Portuguese Consulate. When King Mongkut became aware of this intention he determined to give assistance in the purchase of what was, essentially, the freehold of the required land. However, even though Mongkut was the most powerful authority in Siam he did not have limitless power and when it was realised part of the plot Hillier wanted was owned by a minister of the Second King he told the British he could not compel such an official to sell if they did not want to. The whole question of land purchase was sensitive and a regrettable consequence of a dispute about property ownership in Bangkok temporarily threatened to rupture Anglo-Siamese relations. 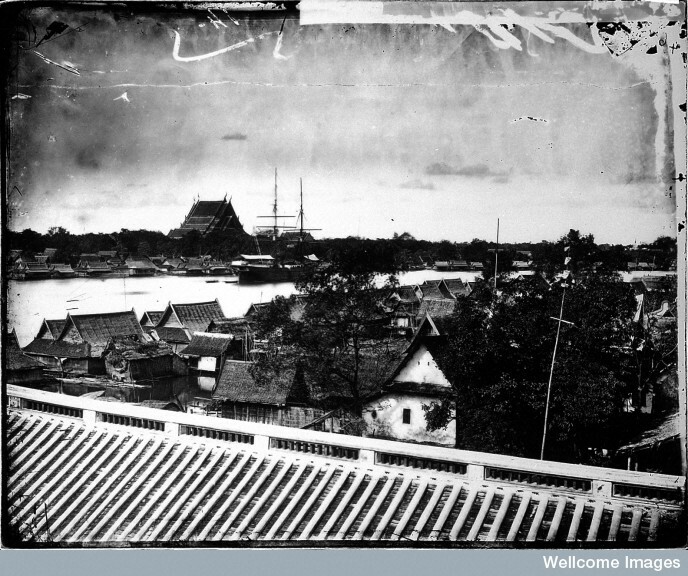 When negotiations about the Bowring Treaty were taking place the Siamese government had been prepared to accede to a request that British subjects be allowed to buy land in certain areas of Siam, although not within a four mile radius of the city walls of Bangkok. Here, the Siamese authorities insisted, properties could only be rented until a foreigner intent on purchase had lived in Siam for ten years or was given a special dispensation. This restriction was accepted by the British and reflected in an article added to the main treaty as a supplementary document, negotiated by Harry Parkes. The maximum duration of any proposed rent agreement was not, however, stipulated. It was an omission that proved unfortunate. Within Siam short term leases usually had a duration of ten years or less and, clearly, it was anticipated that any lease agreed with a newly arrived entrepreneur would last no longer than a decade, although it must, surely, have been foreseen this could raise certain difficulties from a business point of view. The longer a lease the more opportunities it may present, so a lease of, say, a hundred years, may be regarded as offering the kind of security any enterprise looking to exploit long term opportunities may desire. One risk of a shorter term lease is that as renewal becomes due so the landowner may impose onerous terms for an extension or even refuse to renew at all. The Bowring Treaty was likely to offer the chance to make considerable wealth from exploiting and exporting Siam’s resources, which included timber. 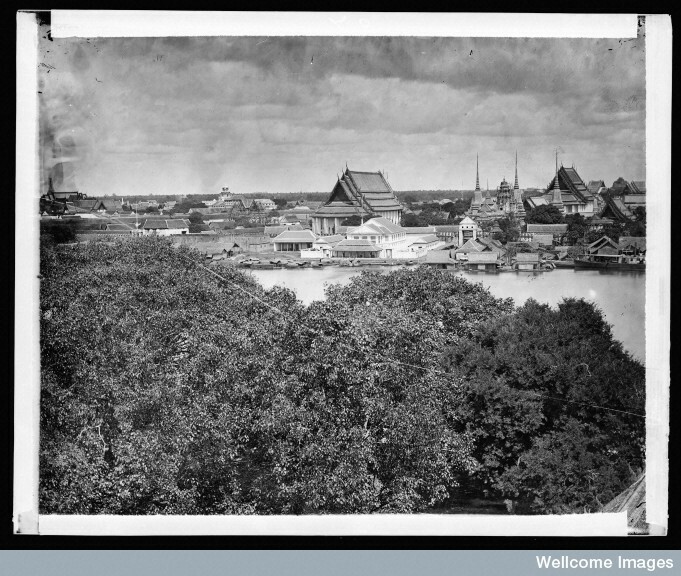 Bangkok was an ideal place for the establishment of sawmills which, by skilful processing, could add value to logs that had been floated down the Chao Phraya. However, as such mills would need the investment of considerable capital, particularly if steam powered machinery was to be used, so the acquisition of a long term lease in this field would normally be more desirable than settling for a short one. The Puddicombe sawmill crisis exposed the weakness in the Parkes supplement in regard to the lack of stipulation of lease duration. As soon as the treaty came into force enterprising individuals and companies began to develop their interests in Siam. It was natural they would seek the best site for conducting their businesses and a British sawmiller, a Captain Puddicombe, found suitable premises on the banks of the Chao Phraya. He negotiated a good price for a lease, but for ninety-nine years rather than ten. This raises the question as to whether Puddicombe was naive or took an opportunity to use a loophole he saw in the treaty, for it must have been quite clear to most interested parties that one point of restricting foreigners to renting in Bangkok and the contiguous area was to prevent swathes of the capital falling, on a long term basis, into the hands of speculative foreign enterprises. An article in the Singapore Free Press about the subsequent trouble this lease caused took the view that Puddicombe made an honest mistake, which may have been true, but somehow seems doubtful. After the lease document was signed it was registered with the British consulate, which would appear to give it some official standing, even if not with the Siamese authorities. But two months after the transaction had been registered it came to the notice of King Mongkut, who, apparently, was incensed and took immediate action. The lessor and his family were arrested and imprisoned and, after investigations were made into those who had helped draw up the lease, punishment was ordered for the person held most responsible. The fact that the hapless drafter had once been a servant at the Siamese court made no difference, he was sentenced to 99 blows of the rattan, one, presumably for each year of the lease. This was duly administered in the presence of King Mongkut. Unfortunately, three days afterwards, the victim of this severe chastisement died due to the severity of the flogging. Had Hillier been in Bangkok when the sentence was given he would probably have intervened swiftly and prevented the punishment for it turned out the deceased had actually been employed by the British consulate. Moreover the offence, if there was one, could clearly be construed as having been the result of a misunderstanding. On returning to Bangkok the consul immediately took the matter up with the monarch and rallied other Western consuls, who represented governments wanting similar concessions to those offered to the British, in support. According to the Singapore Free Press Mongkut then considered Hillier’s views, accepted he had been at fault and reflected to good purpose on what the consequences of his hasty act might be. After carefully cultivating the relationship, a rupture with Bowring and the British was clearly something Mongkut wanted to avoid and so decided to step back from future involvement in the land issue, devolving decisions to his ministers and the foreign consuls. He also, in a gesture of reconciliation, evidently offered to purchase a site for the new British consulate and present it to Her Majesty’s government. Had the sawmill land lease issue not been resolved quickly then the Saracen may have been in rather an uncomfortable position when berthed in Bangkok, but the way the dispute was settled actually enhanced the standing of King Mongkut in British eyes. Unfortunately, however, it was Hillier himself who now gave cause for concern, although this did not affect the stay of the survey ship. The consul’s absence during the time the sawmill trouble was brewing was due to ill health and he prepared to leave the city for the same reason once it was over. Rather than offering a respite from the tribulations of Hong Kong, Eliza must have experienced growing alarm at her husband’s physical deterioration, particularly as she was pregnant again. It was, perhaps, due to concern about Hillier that on October 1st three marines and a blue jacket were dispatched from the Saracen to help protect the consulate. Regrettably, one of these guards, a marine named Potter, did not prove to be an impeccable representative of British maritime power. Potter subsequently lost two good conduct badges, the first because of drunkenness the second because, despite specific orders to the contrary, he left his guard post. The log book does not disclose where the marine disappeared to, but Bangkok doubtless offered many temptations. As the only Royal Navy vessel at anchor in Bangkok it was natural that the consul would look to Richards for such assistance as the ship could render and this was offered when Hillier expressed a desire to return to Paknam, where on medical advice, he had been staying. The request was linked to the hope that he could be cured of the serious illness, which was clearly getting worse and which may have been exacerbated by the exertions needed to resolve the Puddicombe crisis. Unfortunately, it appears he had contracted dysentery and his journey downstream in the Saracen’s gig would have done little to alleviate his symptoms. He left on October 5th and would not see the consulate again. Just two weeks later his corpse was returned to the Siamese capital. It was a mark of how much good will Hillier had generated since arriving in Siam that his funeral procession was over a mile long and was attended by two members of the Siamese royal family. He was buried in Bangkok’s Protestant cemetery, the land for which had been provided by King Mongkut. One can hardly imagine the impact of Hillier’s death on his wife. She was in a country which she barely knew and where she doubtless did not want to stay. Indeed, it must have been clear that, even if she had wanted to, she could not remain in the living quarters of the consulate for long. All she could do now was to look after her living children and the one she was carrying. The arrival of sailors from the Saracen, all of whom were doubtless sober and warned to remain so, to help pack the family property, may have been some comfort to Mrs Hillier and the tributes to her husband from various sources would have been gratifying too. When the captain of the Auckland arrived to supervise the movement of the possessions down river he would doubtless have expressed his condolences, but Eliza herself was not to slip away in the Saracen’s pinnace with all her worldly goods. Instead, she left Bangkok in one of the most dignified ways possible. King Mongkut wanted to do his best to show his regret at the death of a diplomat who had evidently impressed him, despite the shortness of his tenure. The Saracen’s log of November 2nd noted the passing of the King of Siam’s steamer, which was bearing ‘Mr Hillier’s widow’ down to Paknam. Eliza Hillier was taken from Paknam to Singapore where she and her family were able to board a mail steamer, which would take them towards what must have appeared a very uncertain future. However, once in England Eliza gave birth to a healthy boy whom she named Guy. Once he had grown up, Guy, like two of his brothers, was to show a determination to travel to the Far East where their mother and father had spent so much time. All three made their way there in their early twenties and, subsequently, enjoyed success in their chosen professions.